Divorce can be one of the most traumatic and challenging experiences of one’s lifetime. One of the most difficult and contentious challenges to overcome is the distribution of assets. What are the marital assets that need to be split, and what is the fairest way to divide them? The attorneys of the Kramer Law Firm have significant experience in handling divorce cases in Orlando and Central Florida. 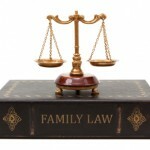 Some of the best divorce help our lawyers can give you is in equitable distribution and fair division of property. Contact us to set up a confidential consultation to discuss the unique factors in your marital property division by calling 877-493-4847. 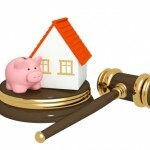 How Are Marital Assets Divided In Florida? States determine the division of marital assets in two major ways. Some states, such as California, use a community property system. In such a system, almost all properties and liabilities acquired during marriage are considered marital property and are split evenly upon divorce. Most states, including Florida, use an equitable distribution system in divorce to help resolve these issues. Florida courts are required to determine and divide marital property and liabilities according to what is “fair,” or equitable under the circumstances of the parties. This often leads to more fairness in the divorce, but is also more unpredictable and complicated than in community property states. An equitable distribution of property does not mean a 50/50 split of assets, although that is often the court’s starting point. There are many factors to consider when determining what is an equitable distribution. Our attorneys have extensive experience in this area of law, and will work with you to protect your interests to the fullest extent possible. Throughout your divorce, we help you understand the law, and what makes the most sense for your situation. Typically, the courts first set aside what was acquired by the parties before the marriage. These are normally not divided between the two spouses. Any interest or value increases on the properties may be, however. The courts then consider a number of factors to decide which property acquired during the marriage is marital property, and what is the most equitable division of that marital property. the circumstances of both parties. Identify all assets and debts. We can also uncover any unreported income or hidden assets of a spouse. This is often the case when a spouse has ownership interest in a business, or is self-employed. Classify property and assets as marital property or non-marital property. Examples of marital assets and debts are credit card accounts, vacation homes, savings accounts, IRAs, 401(k)s, stocks and bonds, mutual funds, vehicles, car loans, and mortgages. Non-marital property is property that was acquired before marriage, by inheritance, or by exclusion from a pre-nuptial agreement. Non-marital property often requires skilled legal interpretation. Value assets through knowledge and investigative procedures to assign accurate value to your home, additional real estate such as vacation home or rental property, retirement assets, businesses, investments, stock portfolios, and any other assets. In the complex field of classification and valuation of assets in a divorce, help from seasoned family law attorneys is essential. Distribute assets through fair and creative arrangements. For example, your home (or other real estate) cannot be divided. It must either be sold (possibly at a loss) and you and your spouse divide the proceeds, or one spouse buys out the other’s interest. Alternative fair solutions exist however, such as awarding the house to the parent who spends the most time with the children, while the other spouse gets to keep the 401(k) or other valued assets. Interim partial equitable distribution is another tool we may be able to use in your divorce to help you get access to funds or property while your case is pending final judgment. In cases where the divorcing parties’ incomes are severely imbalanced, use of the wealthier spouse’s assets may serve to fund attorney fees for the spouse with lesser income. Our Florida family law firm represents clients with high-asset divorces, complex estates, divorces where one or both spouses are self-employed, and low asset divorces. Even if you think you just have a few assets, there are many ways we can help you. Find out how we can truly make a difference in your immediate and future situation. Contact the Kramer Law Firm for a confidential consultation for professional divorce help in equitable distribution and property division.